I’m not ashamed to use cake mix every now and then. It’s fast. It can make delicious things. In this case, about 70 delicious things. 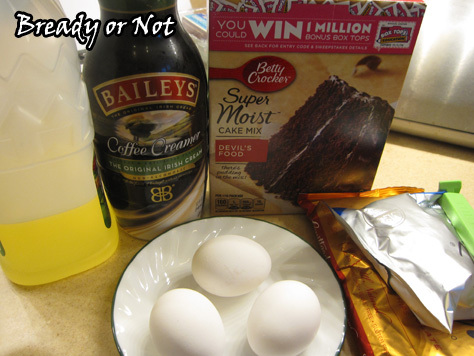 I doctored this recipe to use nonalcoholic refrigerated Baileys Coffee Creamer instead of the hard stuff, and I also adapted it for mini muffins. Loads of them. 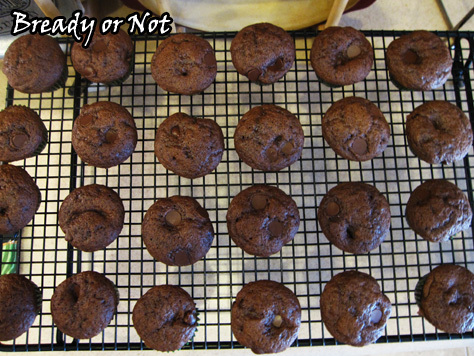 These are bite-sized dollops of chocolate: chocolate cake dappled with chocolate chips, with the added smoothness of Baileys. 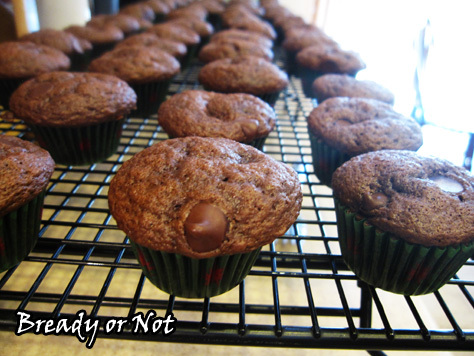 Plus, it’s fast to whip up, especially if you have more than one mini muffin pan! 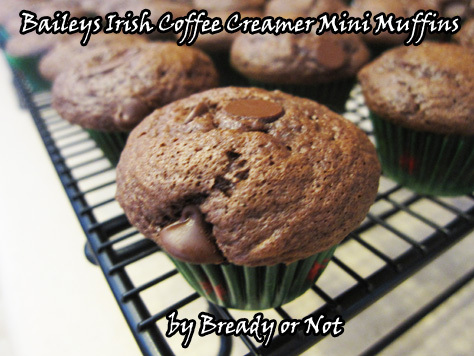 Since I bought a large container of coffee creamer (hey, it was a good sale, and I needed St. Patrick’s recipes, so…), you’ll see more recipes with Baileys featured the next two weeks as well! Modified from Couponing & Cooking.